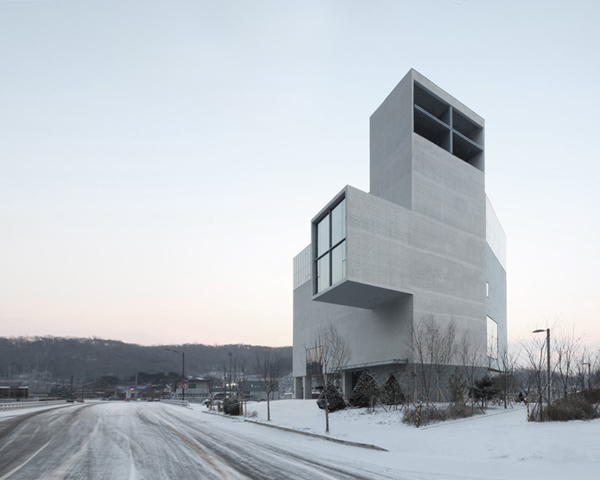 Nameless Architecture’s Concrete Church is located in Byeollae, in Seoul, South Korea. 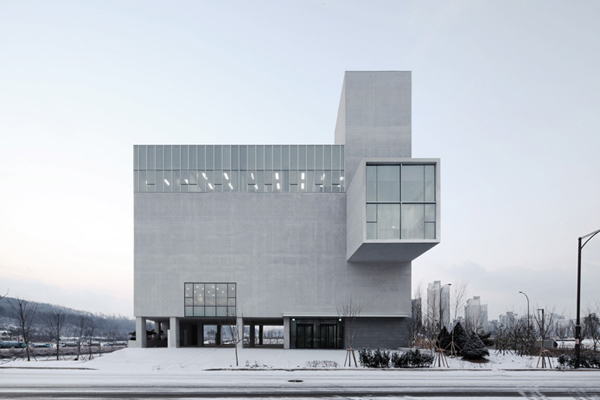 Authors envisioned a new landscape situated between nature and the artificial, creation and extinction, rather than a building on a complete urban fabric. 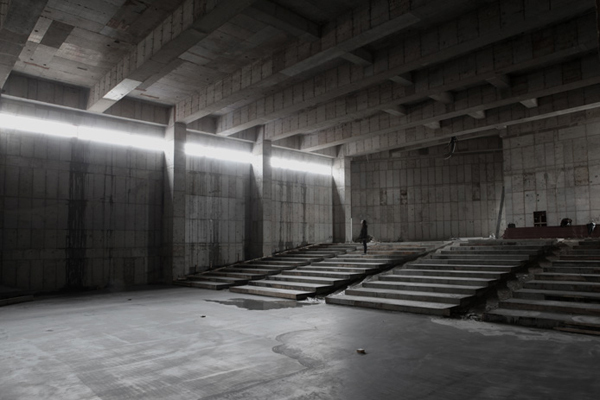 The raw concrete church is set to become part of a new urban environment, materialized through its simplistic form, unified materiality, and program-based continuation of space. Site accommodating simple volume and unified material merges with the multitude of desires originating from the newly developed district. 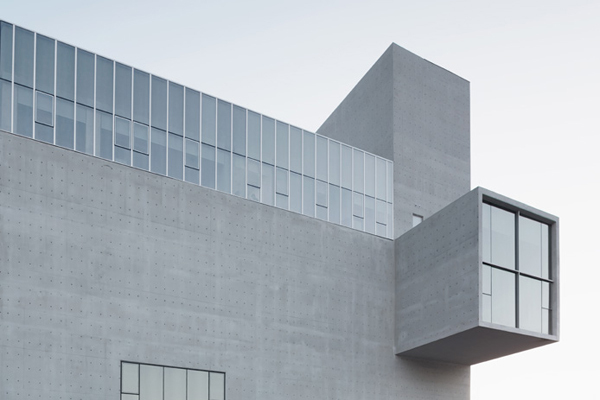 Concrete displays its materiality throughout the church, and in contrast serves as an abstract notion, representing the solid materialization of grounded place. Material reveals its solidity as a metaphor of the eternal religious values in an age of unpredictability. First thing encountered when advancing in to the elevated building is an empty concrete courtyard on the first floor, as they state in Nameless Architecture. The courtyard is simultaneously a place for interaction with the local community and a flexible space that accommodates daily changes in religious programs. Passing the transparent lobby and mounting the stairs, as soon as one adapts to the darkness, a bright space is revealed. Inside the protruding six meter cantilever, the internal hall is an inevitable passing place to enter into the main chapel. This place becomes a physical and spiritual intermediary space, connecting the every-day with the faith. 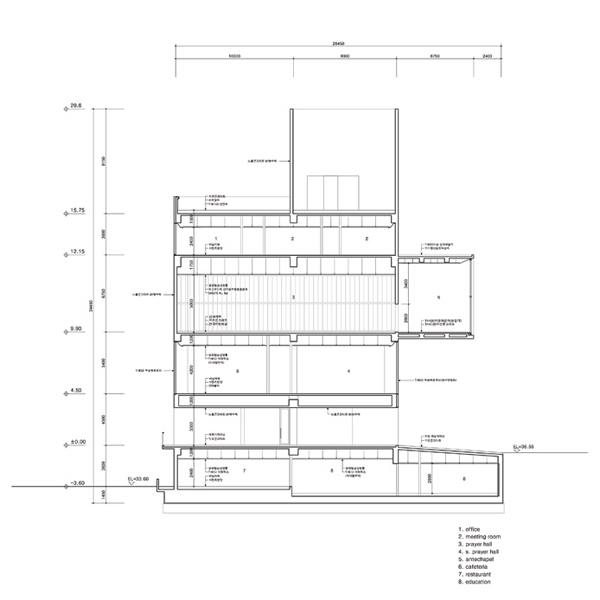 The chapel is a softly sloping singular space, emanating a feeling of comfort as if worshipping on a gentle hill. The boldness of design together with peacefulness offers unique atmosphere, perfectly suiting the main purpose of the oeuvre.